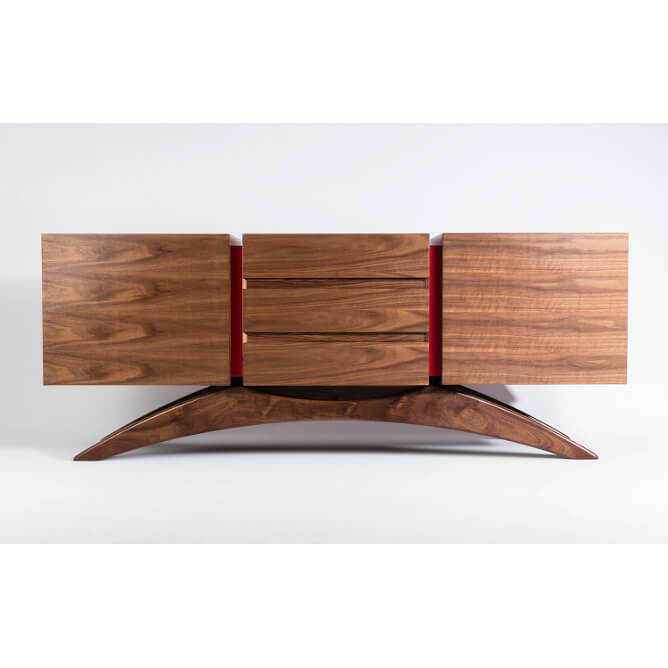 Retrospect, although a contemporary piece of furniture, does as its name suggests, and looks backwards, paying homage to the sideboards of the mid-century modern era. While taking styling cues from these long, low, Scandinavian styled pieces, Retrospect stands its own ground as a contemporary piece. Retrospect, a simplistic, contemporary sideboard takes a look back towards its mid-century counterparts. The geometric carcass floating above organic legs comprises of three separate entities. 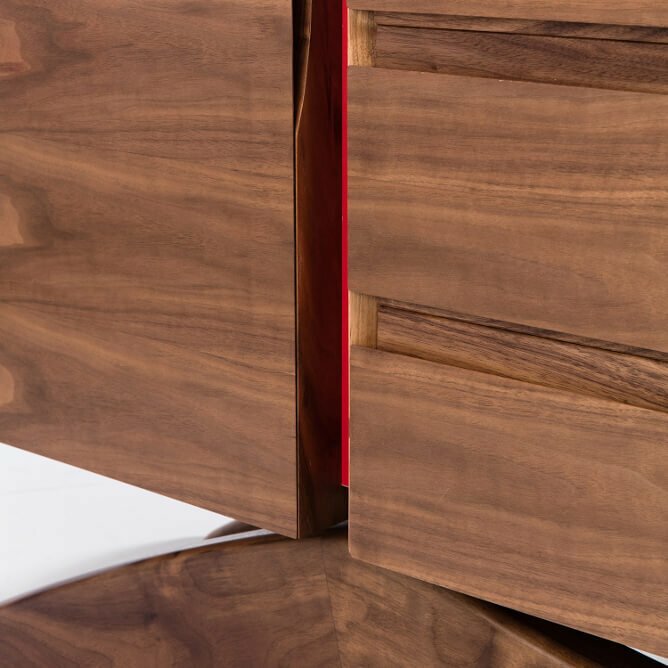 Standing atop a curved leg structure the juxtaposed cabinet is created from a number of different pieces, each one separated and accented by red laminate which sits back from the surface creating a coloured shadow gap. 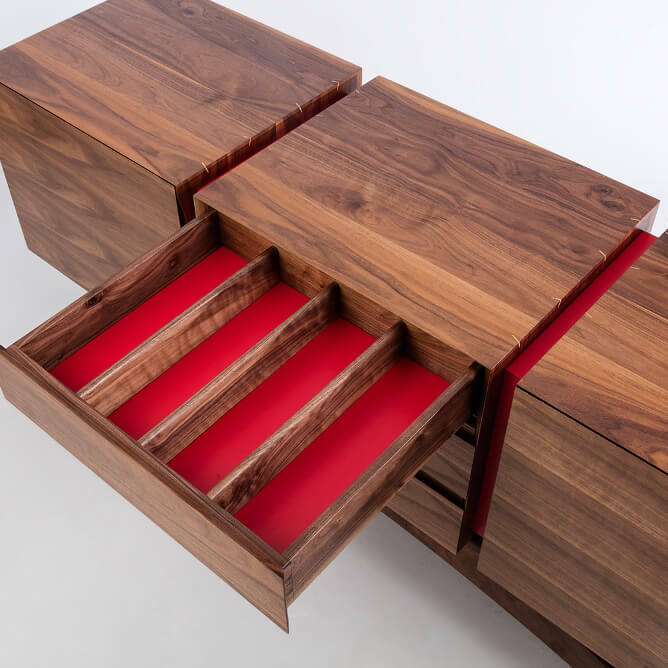 The handles and drawer pulls are incorporated into the simplistic cabinet exterior. 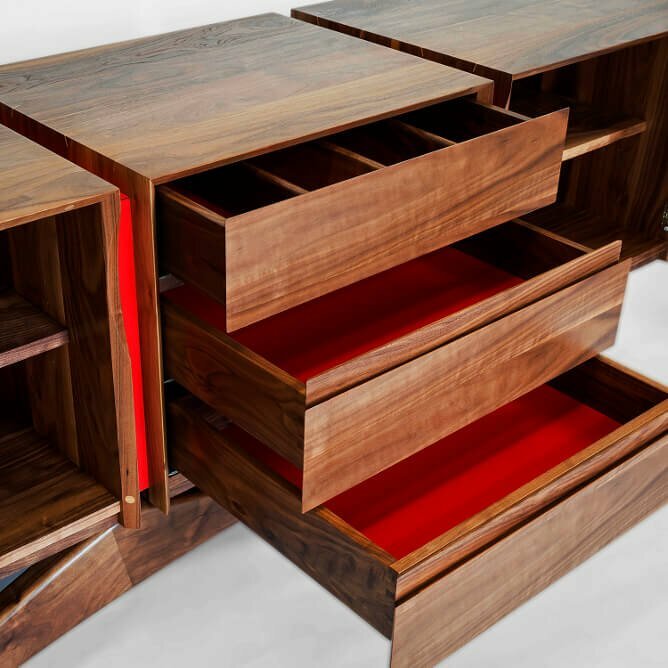 These simplistic shapes are balanced out by the red interior of cabinets and drawers and also by the curved base structure. 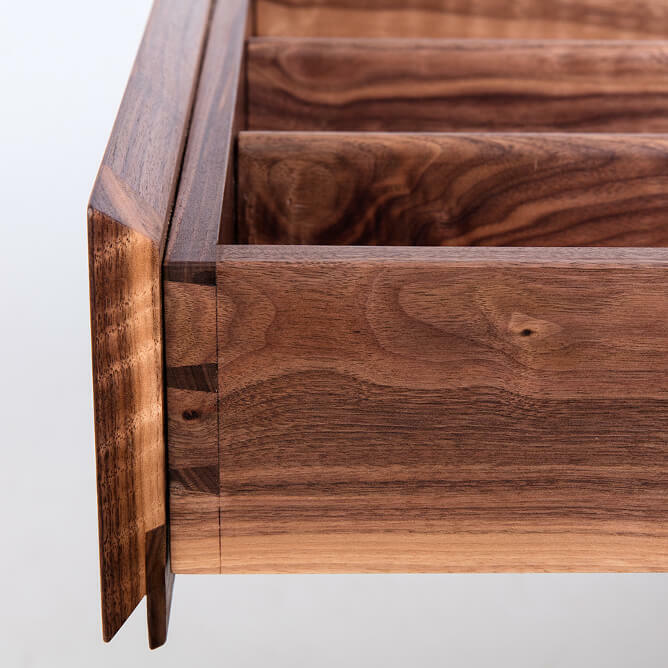 The mitred joints on the cabinet corners are both decorated and reinforced with keys made from the lighter coloured Sapwood of the Walnut. These keys are inset at alternate angles along the corner of the cabinet. 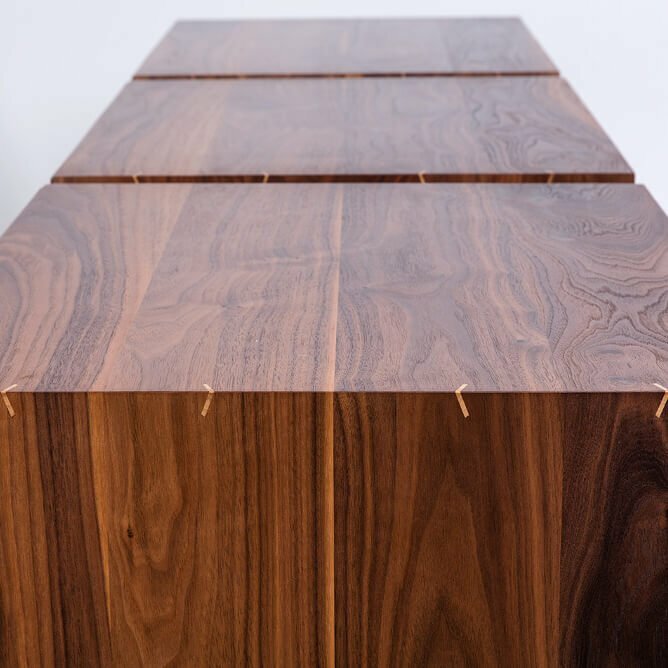 The boards from which the sideboard are created, are cut, joined and re-assembled in sequence so that the grain pattern flows seamlessly up, over and around the cabinet. This piece takes 6-8 weeks to make once an order is placed.